On April 15, 2019, the expected final hearing in a terrorism propaganda case against Turkish journalist and International Press Institute (IPI) member Erol Önderoğlu as well as Turkey’s Human Rights Foundation Chair Şebnem Korur Fincancı and journalist Ahmet Nesin will take place in Istanbul. 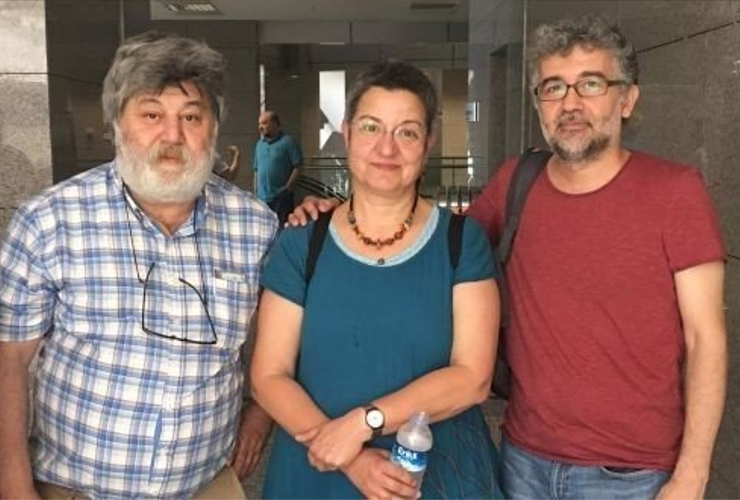 The three defendants are charged in relation to their acting as “guest editors” in a solidarity gesture with the pro-Kurdish newspaper Özgür Gündem in 2016. They were briefly arrested in June 2016 and have been on trial since. Önderoğlu is also the Turkey representative for Reporters without Borders (RSF). The defendants face between 18 months and 7 years 6 months in prison. IPI Turkey Advocacy Coordinator Caroline Stockford, who observed the January 2017 hearing of the current trial, said all three defendants should be acquitted. Özgür Gündem was established in 1992 and published daily until it was closed by a decree issued under Turkey’s state of emergency in October 2016. Due to the paper’s coverage of Kurdish news and reporting on clashes between Turkey’s military and Kurdish armed militants in the southeast of the country, it had frequently been the subject of temporary closures and criminal investigations in the past due to allegedly carrying “terrorist propaganda”. 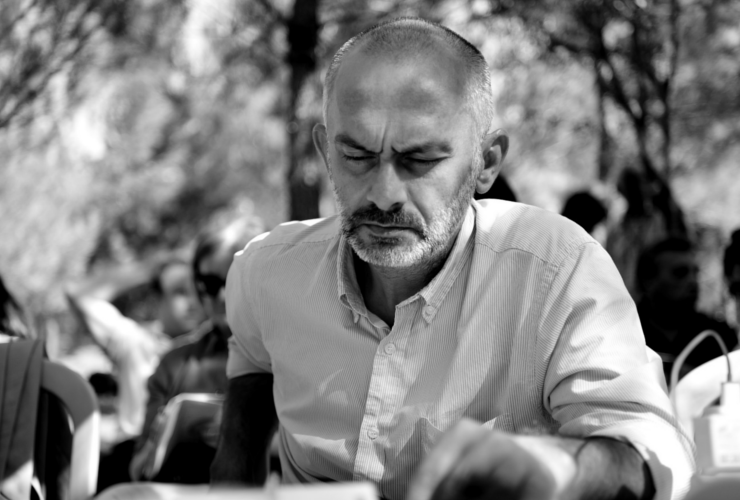 On March 12, 2019, the European Court of Human Rights (ECHR) ruled that Turkey had violated the right to freedom of expression in systematically bringing terrorism-related criminal cases against then-Ülkede Özgür Gündem’s owner, Ali Gürbüz, between 2004 and 2005. 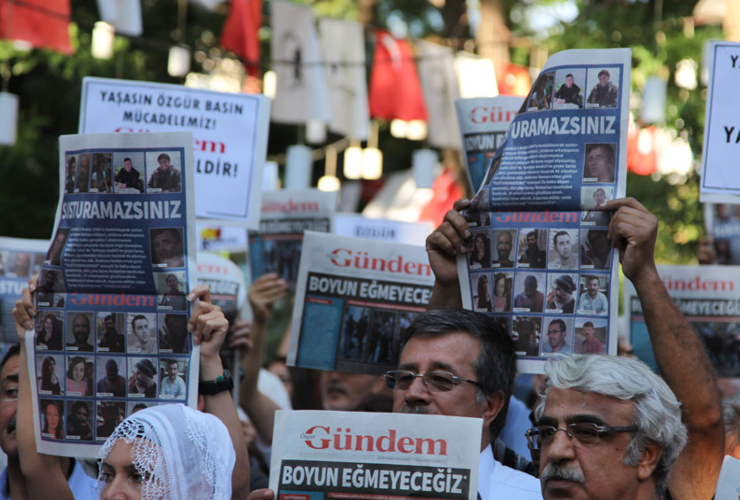 More recently, the high number of criminal cases opened against Özgür Gündem in apparent retaliation for his coverage of clashes in Cizre and Sur in 2015 and 2016 prompted 56 journalists, writers and lawyers to come together in solidarity with the newspaper and undertake individual stints as a “guest editor” on World Press Freedom Day on May 3, 2016. Of those 56, 49 were charged with spreading terrorist propaganda. Twenty have already received custodial sentences or monetary fines. Earlier this month, a court handed six of the participants in the ‘Editors-in-Chief on Watch’ suspended sentences of one year and three months. Two further defendants, former co-editor Hüseyin Aykol and columnist Dilşah Kocakaya were given non-suspended sentences of three years and nine months, and 15 months, respectively. The sentencing came even as lawyers for the defence argued that none of the “guest editors” were in fact employees of the paper and therefore not criminally liable under Turkish press laws. The trial of Önderoğlu, Korur Fincancı and Nesin has been subject to a string of adjournments and will have taken almost three years to conclude. Bringing terrorist propaganda charges against journalists and academics for taking part in the ‘Editors-in-chief on Watch’ of a newspaper brings once again Turkey’s misuse of anti-terror laws into sharp relief. The latter issue was highlighted by Council of Europe elections observer Andrew Dawson following his team’s monitoring of the March 31 mayoral elections in Turkey. Dawson’s preliminary report noted that “Turkey’s definition of terrorism is not consistent with Council of Europe standards, notably the case law of the European Court of Human Rights”, and called for “a political environment where there is genuine freedom of expression, an atmosphere where media freedom is absolutely ensured”. Read IPI-led joint statement with 25 freedom of expression groups urging acquittal of Özgür Gündem guest editors.